Inventory management made simple. 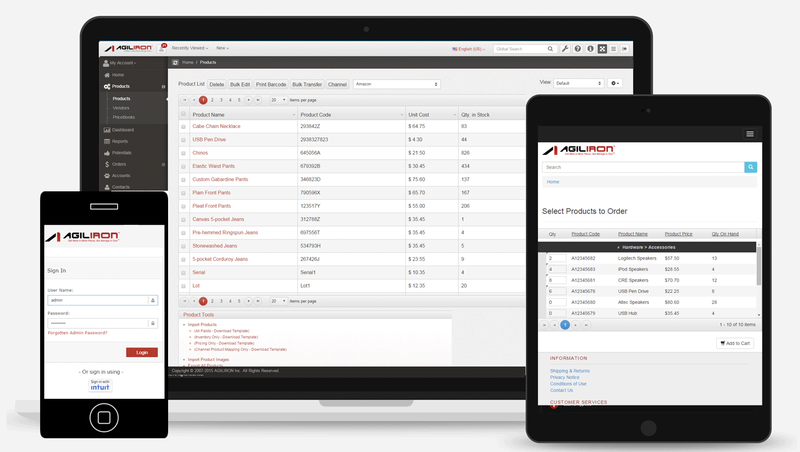 The Agiliron inventory management system allows retails and wholesalers to efficiently manage inventory from all channels - in store, online, 3rd party marketplaces etc. - in one place. Enhanced Product Purchasing Power. Custom product setup and fields allow for better product tracking, reporting, and category organization that will help when creating purchase orders based on inventory & demand.